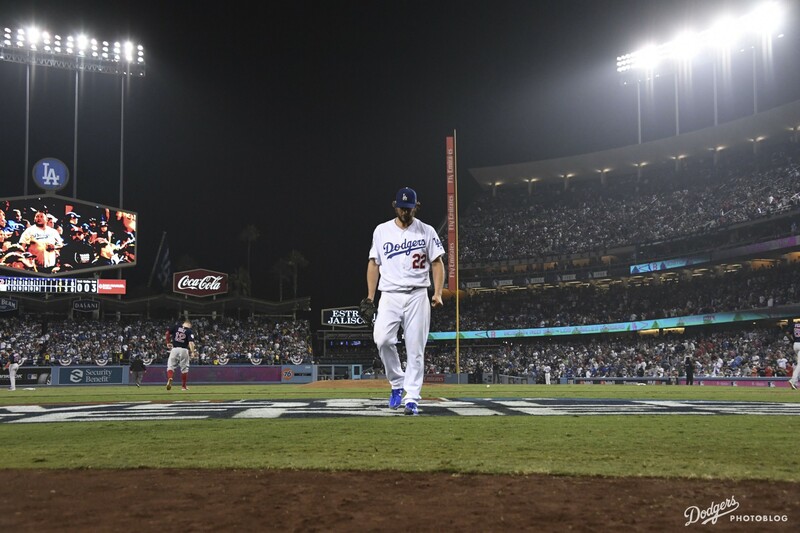 If not for the double plays that his team grounded into during the seventh, eighth and ninth innings Saturday, Dodger pitcher Kenta Maeda would have been batting in the ninth inning of an absolute nailbiter in Game 2 of the National League Championship Series. If not for the 4-3 lead the Dodgers had taken despite those double plays, Maeda — or a pinch-hitting Clayton Kershaw — might have been batting to keep the Dodgers alive. 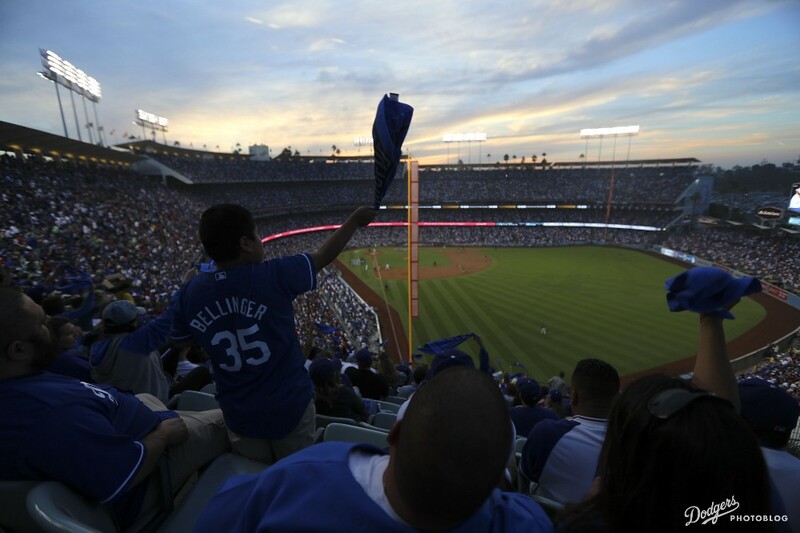 If not for the Dodger bullpen’s work in holding that 4-3 lead, scheduled Game 4 starter Rich Hill would have taken the mound for Los Angeles to start the bottom of the 10th inning. 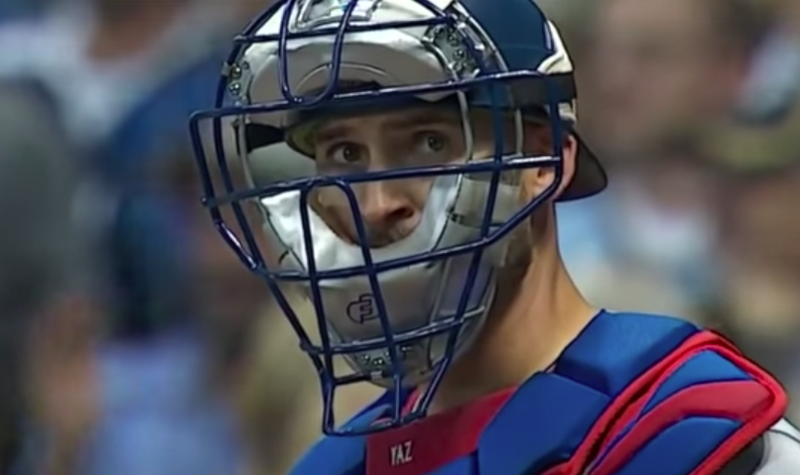 If not for Austin Barnes avoiding any injury that could have come in the final hour of the game, Max Muncy, who has never played catcher professionally, would have had to go behind the plate. Any of these scenarios would have exposed Dodger manager Dave Roberts to toxic criticism. 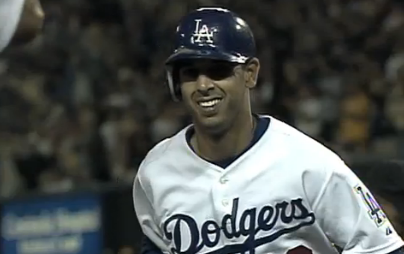 Instead, Roberts sashayed home to Los Angeles with a well-earned split of the first two NLCS games. 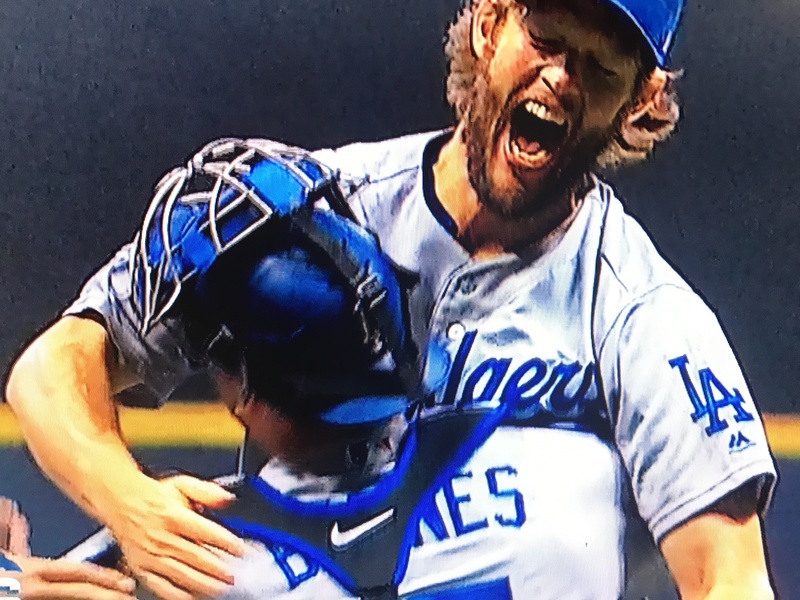 I’m here to tell you that even if the Dodgers had lost the game, Roberts made the right moves. 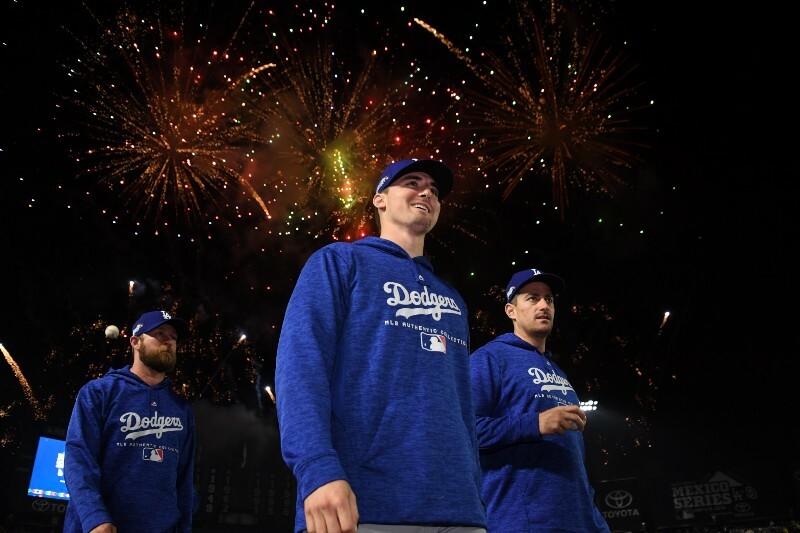 While Los Angeles will mostly dance with the Dodgers who brought them to the National League Championship Series, there is talk of change near the edge of their postseason roster. 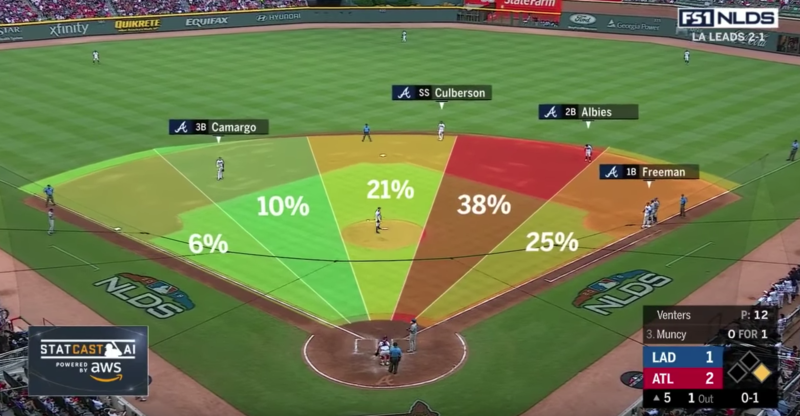 The field view when Max Muncy came to bat Monday in the fifth inning of NLDS Game 4 at Atlanta. You’re a person looking at an empty field, or to be more specific, an empty left side of a major-league baseball field. You could be a major-league hitter in a major-league baseball game, or you could be a fan looking at a major-league hitter at a major-league baseball game, or you could be a member of the media, perhaps a former major-league baseball player, perhaps named John Smoltz, looking at a major-league baseball game. As you gaze at the pitcher, the area to the right side of second base is filled with defenders. The area to the left side of second base is bare, or nearly so. 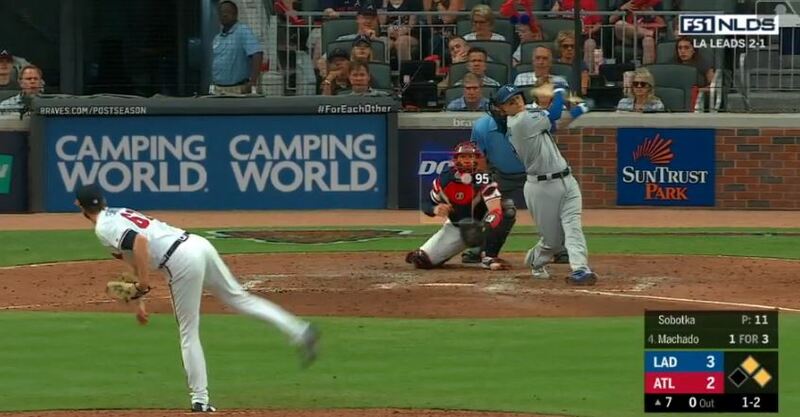 Why, you might ask, shouldn’t one bunt to that left side? Or why, you might instead ask, for the love of all that is holy, don’t you bunt to that expletive deleted left side? Manny Machado follows through on his three-run homer Monday in NLDS Game 4. 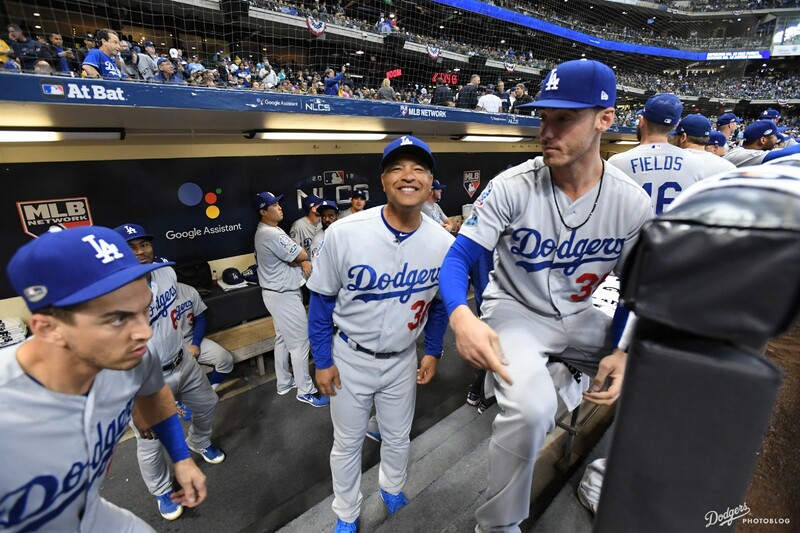 Manny Machado occupies an unsettled vortex in Dodgerland, swirling between Kirk Gibson, Andruw Jones, Raul Mondesi, Yu Darvish and Manny Ramirez. This post has been updated below. Clayton Kershaw, who will be starting Game 2, not Game 1, of the National League Division Series this week, has been both great and terrible in the playoffs. Some people have trouble holding these two thoughts simultaneously. It shouldn’t be that hard. I’ve written countless words over the years about Kershaw’s postseason record, not to excuse his failings, but simply to argue that his successes should be acknowledged as well. There’s no doubt that he has had opportunities to completely silence the naysayers — Game 5 of the 2017 World Series the most recent, painful example — but regardless, he has been far better than he is given credit for. This time around, I’m kind of giving up on words. Here’s a chart of Kershaw’s 19 playoff starts (leaving out such relief appearances as his four shutout innings in Game 7 of the World Series or his save in Game 5 of the 2016 National League Division Series). Click to enlarge. See all that green? That’s when Kershaw has been unequivocally great. Nine starts in which he has allowed two runs or less. These are the starts no one seems able to remember. Twice he has started out great, then faltered, but ultimately, it didn’t matter. Six times, he has started out great, then faltered, and it very much did matter. There was an NLDS Game in Washington when he was neither great nor terrible. Honestly, it was good enough, but his detractors wouldn’t be won over by the performance. In two games, he just never really had it. Basically, that means in 11 of the 19 postseason starts Kershaw has made, he has done the job. It’s less than you’d hope for from a Hall of Fame pitcher, but it certainly doesn’t match up with those who say he always chokes. Update: When I posted the chart late Tuesday on Twitter, it generated quite a bit of feedback. Some of it I completely expected, but some caught me off guard — though perhaps it shouldn’t have. Anyway, I wanted to respond to a few points. I want to reiterate that I’m making a very specific point here. Sometimes Kershaw is great in the playoffs. I am not trying to rewrite history and claim that the devastating moments haven’t been devastating. I am trying to rescue the many great moments he has had from obscurity. Quite a few people quibbled with my comments on the individual games — for example, the idea that Game 5 of the 2017 World Series wasn’t just completely terrible. I was being pretty literal — Kershaw retired the first nine batters (great), then gave up six runs (terrible). Basically, any game in which Kershaw started strong but then more or less imploded got the “great then terrible” designation. 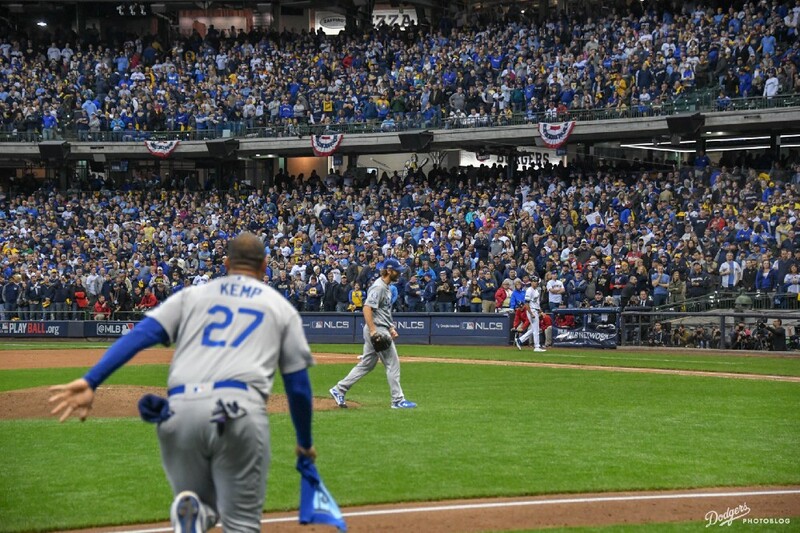 In the “great” category, I got some questions about the five-inning 2017 NLCS Game 1 outing. While that’s maybe borderline, I didn’t want to penalize Kershaw because he went out for a pinch-hitter in a close game. He held a strong opponent to two runs over five innings. Call it “good” instead of “great” if it makes you happy. It was still what the Dodgers needed. I think we can agree to disagree on those evaluations, because again, I’m not trying to split hairs about Kershaw’s disappointing outings here. I’m trying to call out the successes amid the failures. That’s why the Matt Adams game, in which Kershaw was great all the way until giving up the two soft singles and the home run, is in the same broad (yellow) category, even though arguably, Kershaw did not deserve to lose that game. That’s why the games in which a better bullpen would have saved Kershaw are also in the yellow category. The yellow games are the ones that had mitigating circumstances, but ultimately didn’t deliver. There are eight of those games — counting the one truly outing I felt was truly mixed. Add in the two outings where Kershaw was basically off his game from the beginning, and you have almost an even split between successful and unsuccessful outings. Does great + terrible = mediocre? I said he’s been great and terrible. Mediocre is the average of those two things. I had this civil exchange on Twitter, in which I said (agreed) that because Kershaw has been both great and terrible, that makes him mediocre. To some extent, I regret conceding that point, not so much because it’s wrong, but because I think it confuses what I’m trying to make plain. It’s important to me (we’ll psychoanalyze why someday) that people understand that “always” is a falsehood, that Kershaw has had many brilliant playoff outings. He certainly hasn’t had enough of them. The failures have been, at times, horrific. 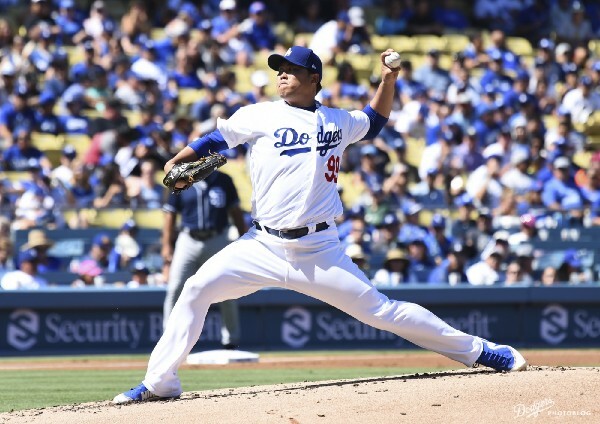 But there is nothing automatic about Kershaw and the postseason — in either direction. So yes, while “mediocre” does sum up the Kershaw playoff ledger to this point, and is certainly better than branding him a complete failure, I just think it can’t be emphasized enough the importance of the great games that he has had. It’s the reason I italicized the “and” in the headline at the top of this post. Kershaw in the postseason has been both great and terrible. Everyone remembers the terrible. Few remember the great. 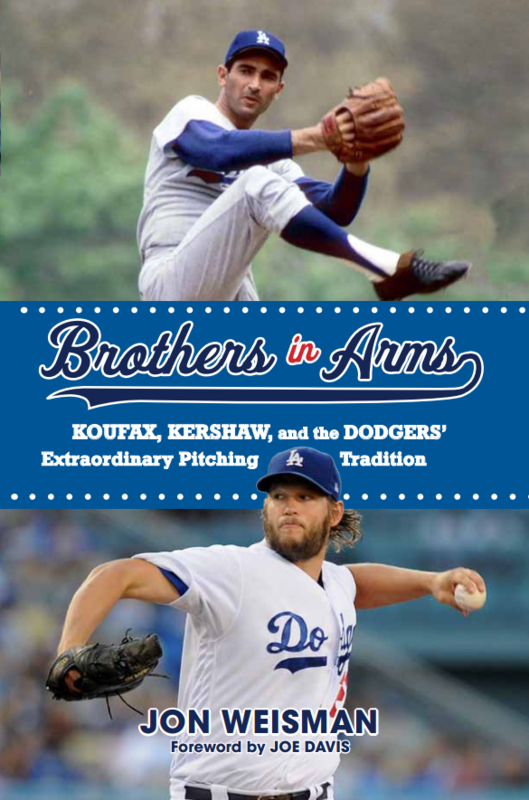 Until the baseball world fully digests this, I think Kershaw is being sold short. Based on his poor final start of the regular season in San Francisco and his overall velocity decline in 2018, this is the least promising Kershaw postseason we’ve had since his rookie year, 10 years ago. (Special slap on the wrist, however, to the guy on Twitter who said “typical Kershaw” after last weekend’s Giants game — as if Kershaw hasn’t been uniformly superb in big September contests.) Many might have wondered after the ’17 Series if Kershaw had used up his last chance for playoff redemption, and many are probably still wondering that now. Based on the evidence we have, it’s hard to expect anything other than both good and bad starts from Kershaw in the playoffs (depending how long the Dodgers last). But in a sense, if Kershaw could end his 2018 playoff run on a good start — and, of course, if the Dodgers finally win the World Series — there is every chance that redemption will be at hand. Kershaw has been terrible in the postseason, but he has also been great.